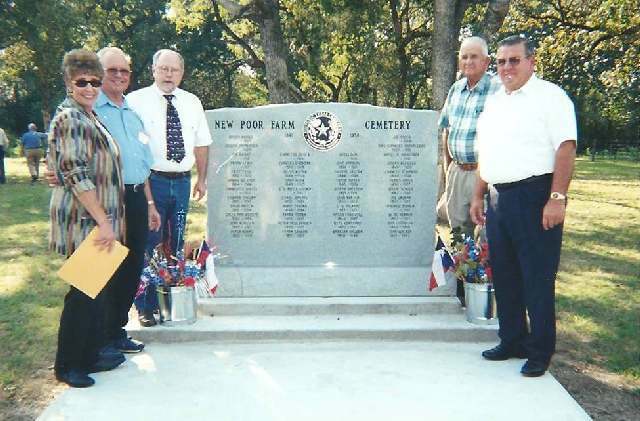 The New Poor Farm Cemetery has just been designated as a historical cemetery, by the Texas Historical Commission. Papers received January 2002. Located 2 miles south of Hallettsville, on Main street (Co. Rd 1B), located just behind the Willing Workers Cemetery. 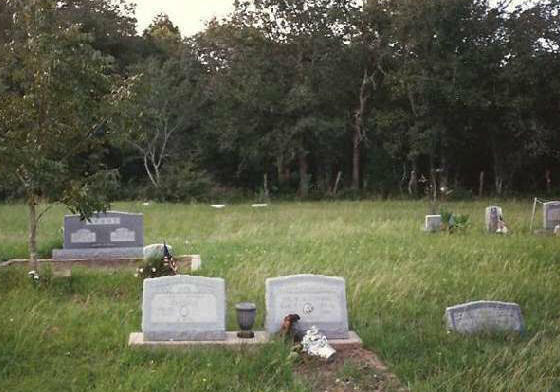 Cemetery began in 1891, and was closed in 1958, on land owned by Lavaca County. The land still belongs to the county, they gave permission for us to restore it. The only person with a headstone is Anton Fabrygel, husband of Anna Sitka. 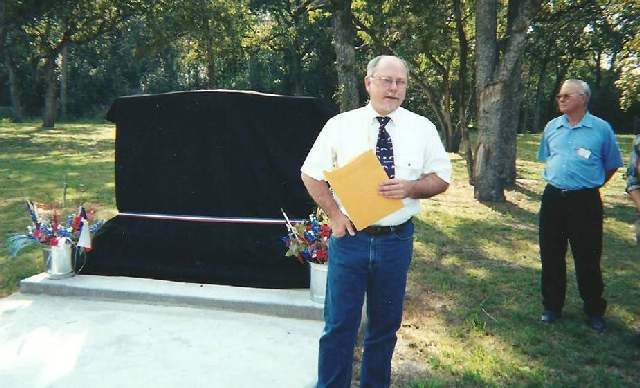 Research by Jerry and Joeann Fabrygel in the county clerks office gave names of 47 other persons who are buried there. The question of where Jerry’s grandfather’s burial site was is now no mystery. It has finally been resolved and the project finished. 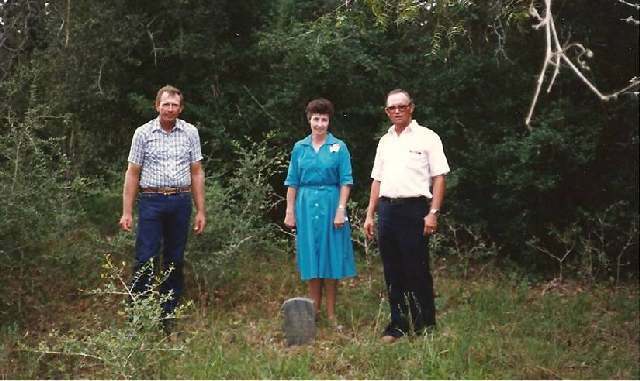 Jerry always knew his grandfather lived in Hallettsville, TX for many years, he never heard where he was buried. After many family reunions asking about the gravesite of Anton Fabrygel, probing for information from different people and wishing someone one knew, or cared to know we finally found the information we needed. At one reunion, one of the elder persons there did remember about where it was, but she was not for sure. Jerry and Joann went to look for it. What a trail, we had to enter through the Willing Workers Cemetery, because this part was land locked, and then had to crawl through two wire fences. 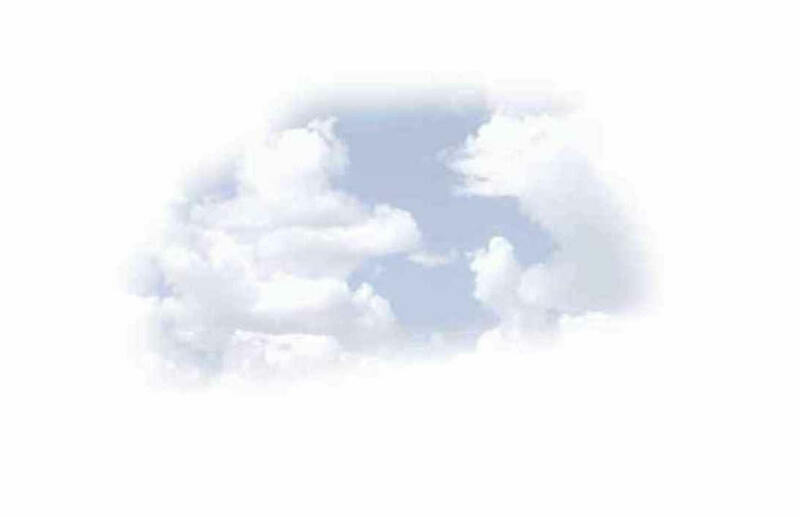 Still you could not see anything for the dense over growth of brush, trees, and weeds. At that time someone had cattle in this area, but the fencing around what was the cemetery, was all down, so the cows roamed freely through this area. After speaking with one of Jerry’s cousin, he was told that the cousin heard of a tombstone in someone’s cattle pasture, but thought nothing of it, and never did go look. So Jerry and his cousin Don Fabrygel went into the brush, and searched for a while, and then they discovered it. The grass was so overgrown, they nearly stumbled over it. Now that it is located; what do we do next? Who owns the property? After asking many people, Jerry was told it belonged to Lavaca County. So the next step was to go to the county courthouse and speak with the judge, who at that time was Judge Rother. He suggested we submit a letter of inquiry to appear on the next Commissioner’s Court agenda. We did so, and were welcomed by all. We were required to have it surveyed by a licensed surveyor and present this to the court. We did this. The surveying was done by family members Greg and Denise Yennor who donated the surveying price and their time to do it. We had to submit a second request for appearance in the commissioner’s meeting. The letter, and were required to read it in the commissioner’s court meeting. . Our requests consisted of culverts, fencing, gravel for a road, and gates to keep the cattle out, and new fencing material. We had another problem, many very large trees where all over it. We asked the county commissioners for a few inmates that could cut down some of the brush and trees, and not to damage the original grounds. The county agreed. Now with the inmates helping us, many family members and friends we cleaned it enough to begin seeing the site. After this was done, we could finally see the boundary lines that were used. Some of the corner posts were only trees; the wire had cut into the trees as they grew. This property was used by the county commissioners to house the indigent and inmates, so in 1891 land was acquired, and a house for the men, a house for the ladies, a house for the housekeeper, and a dinner hall were all built on this property. In order for anyone to live there, they were required to work in the fields, and also gardens for the property, this would repay their lodging. We were told many counties had this same sort of set up. Crops such as corn, cotton, and hay were grown. They raised chickens for food also. The house was closed in 1958, when the social security was started, the home closed. While we were clearing the space, someone told us the last person to cook there was still living in Hallettsville. We perused this trail and found Mrs. Mary Foster, and interview her in June of 2000. She was 80 years old. She was fun to talk to and told all about how it was when she worked there. Unfortunately she passed away in October of 2000. Jerry and Joann researched at the county courthouse every death record book, to find all the persons buried there, because there were no traces of grave markers, nor mounds of dirt, it was all flat. The only tombstone was the one for Anton Fabrygel. 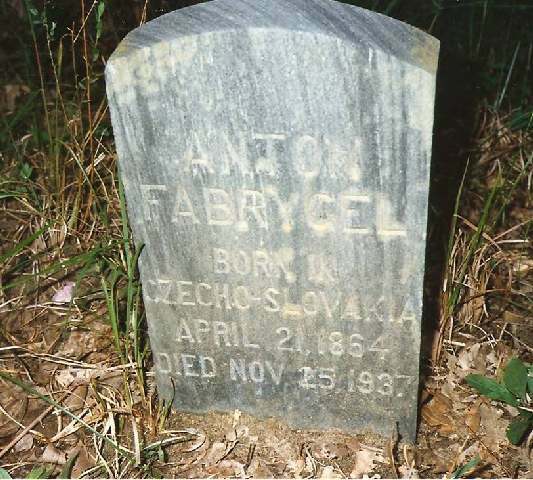 This stone was there because of his wonderful nephew and Anton’s daughter Anastazia (Fabrygel) Mrazek. They dug a deep hole, placed a wash tub in the ground, filled it with cement, and then made their own stone from the concrete also. The writing was done by hand. Nothing remains on the grounds, as all buildings, and properties inside were sold at auction. Houses were all removed from the property. If anyone has the original records from the home in their possession, please contact Joann Fabrygel at P. O. Box 429, Guy, TX 77444. We would like to copy them. Also if anyone has pictures or old newspaper clippings about the home, maybe in their old collections, please email us at cinn@consolidated.net. MANY LETTERS WERE MAILED OUT SOLICITING DONATIONS FOR THE MAKING AND ERECTING OF A LARGE TOMBSTONE WHICH WOULD CONTAIN ALL NAMES THAT WERE LOCATED. ALL DONATIONS WERE FROM FAMILY, FRIENDS, RELATIVES, AND MANY HALLETTSVILLE, TX. MERCHANTS. WE RECEIVED JUST ENOUGH MONEY TO GET A MARKER MADE. SINCE THIS PROPERTY WAS MORE THAN 50 YEARS OLD AND OF HISTORICAL VALUE WE WERE ABLE TO APPLY FOR A STATE OF TEXAS HISTORICAL MARKER, AND WERE GRANTED ONE. THIS MARKER WAS PLACED IN THE TOP CENTER OF THE TOMBSTONE.